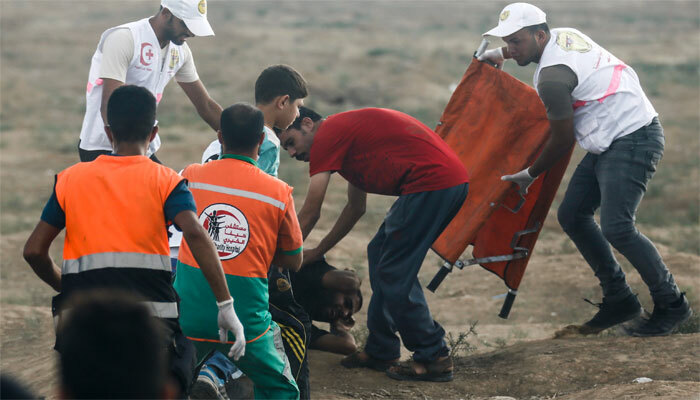 JERUSALEM: Israeli forces killed five Palestinians on Friday during border protests along Gaza´s border, a spokesman for Gaza´s Health Ministry said. Israeli military officials said they were checking the reports, amid weekly Palestinian protests along Israel´s border fence with Gaza. Israel accuses Hamas, the Palestinian movement that controls Gaza, of orchestrating the protests to provide cover for attacks.